Motivated Sellers willing to seller finance with relatively easy terms on this nicely situated double-wide modular. 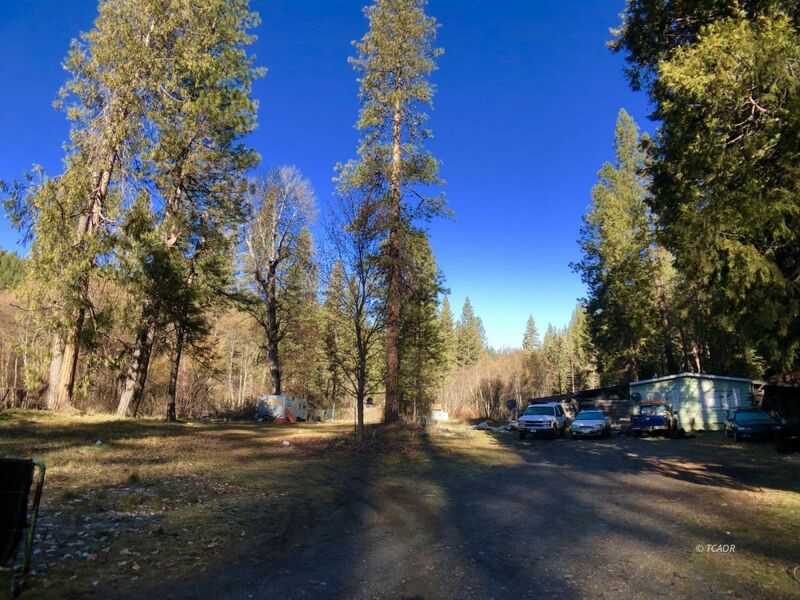 House sits on 350 +/- feet of Hayfork Creek Frontage. This home has end of the road privacy and a nice flat expansive yard and garden space surrounding it. The yard is the perfect canvas with which to create a park-like setting next to the babbling stream. There's a well on site, power and septic are in and functional, but the home is in fairly poor condition per seller. The rest of the property is up above and behind the house. Access to the top of the property is via Halls City Creek Rd and then left onto an unnamed drive. There's a driveway built in that leads through the trees at the top, and if cleared would be a sunny garden area.